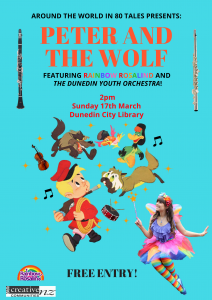 As part of the Dunedin Fringe Festival the Dunedin Youth Orchestra will be performing at the Dunedin Public Library’s event “Around the World in 80 Tales” on Saturday March 17. 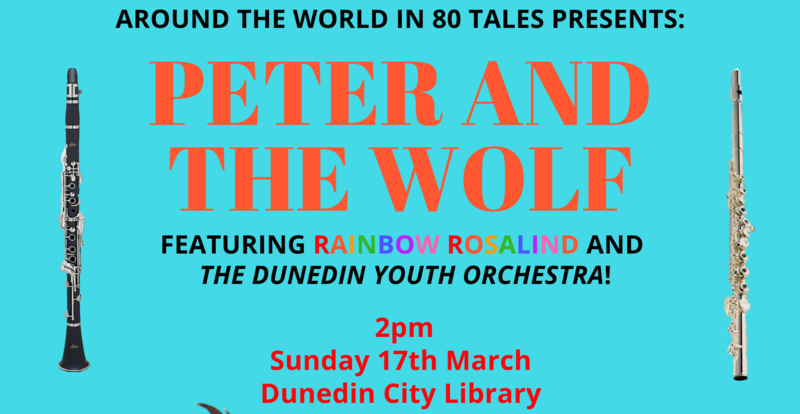 Family-friendly stories from around the world will be shared. 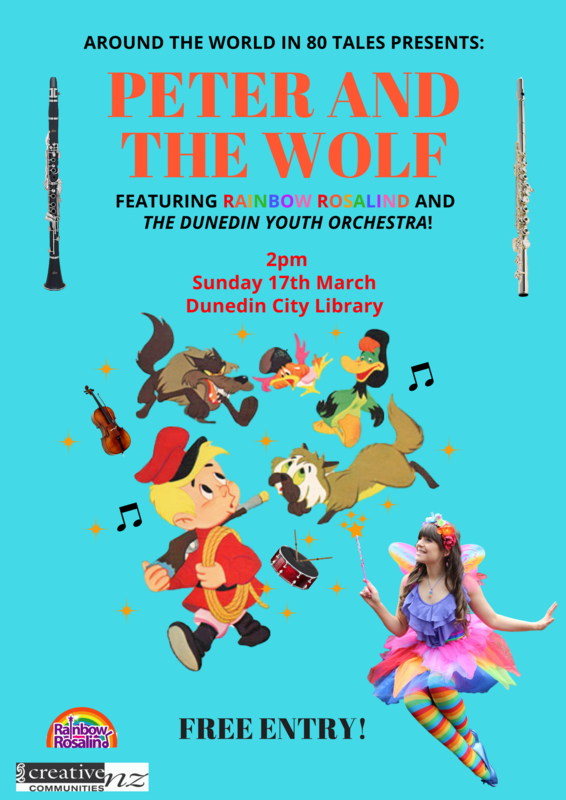 Come along at 2pm to come see us perform Peter and the Wolf with the fabulous Rainbow Rosalind – for free!